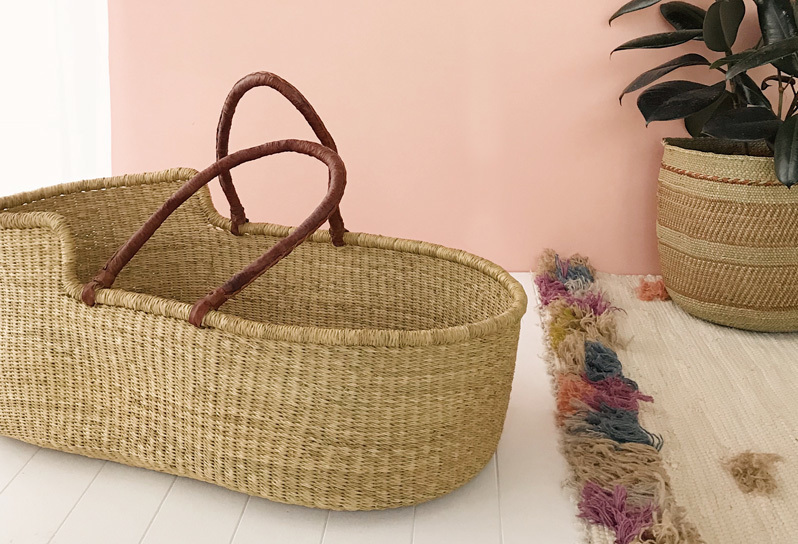 Moses Baskets are one of our favourite new pieces recently added to our Little Sols collection, and we know you’re going to love them too! If you’re expecting, someone you know is, or you’ve just had your baby, these Moses baskets are going to be your new favourite – they’re mine and I don’t even have a baby! Putting together our Little Sols collection, we carefully handpicked all the items we fell in love with, and the Moses Basket is close to the top of the list! We decided to do things a bit differently with these baskets though. We didn’t want to offer you another basket, with just another mattress that you could pick up from Ikea, that’s not what we are about. We wanted to find the BEST mattress you could get in Australia, the mattress that was handmade, wild harvested, allergen friendly, antibacterial and organic. The mattress that ticks all the boxes for us, and when we find a product that is handmade, Fairtrade, sustainable, organic and beautiful we know we’re onto a winner. So just what is so special about the Moses Baskets – I’m glad you asked, let’s dive in. Each Moses Basket is a one of a kind beauty, handmade by local artisans in Ghana, which we think is pretty great, as each individualised basket has the marks of the maker and the particular weaving style of the mama who made it. You get to choose from vibrant bright colourful baskets like Peaches, or natural and softer tones like Fig & Sage. Each basket, perfectly designed for newborns, has been crafted by mamas who have been paid fair market prices. By choosing Fairtrade, we are supporting the beautiful community of mamas weaving your moses baskets and ensuring they are paid fairly to continue to support their families. We’re so excited to offer you this incredible mattress for your little one. 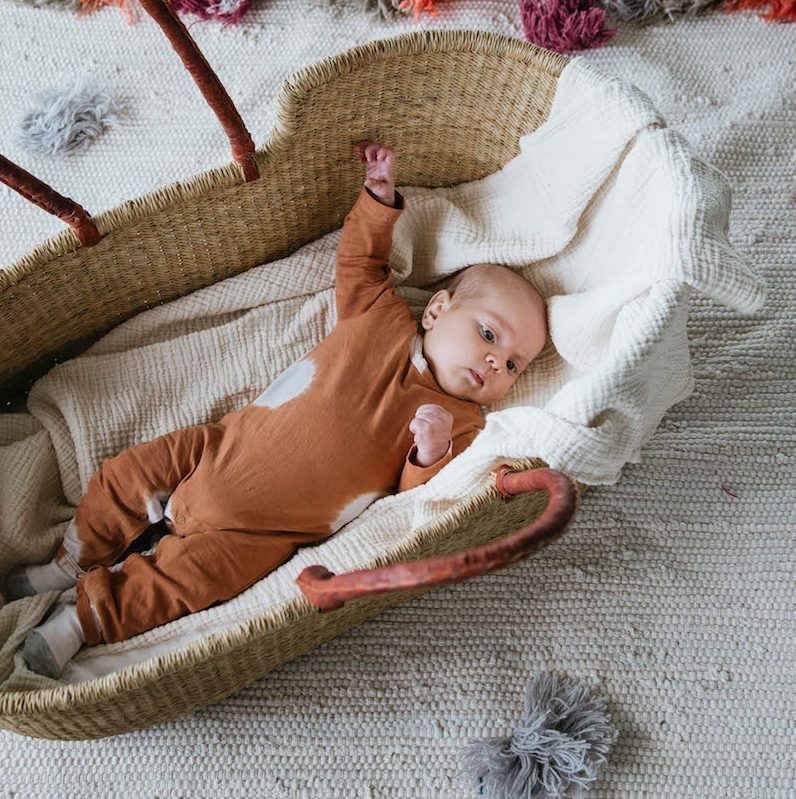 We recently asked you on on our Instagram whether you would rather your mattress to be eco & organic with a little higher price, and the poll was astounding – it seems most of you are looking for the best products you can find for your babies, and we get it. So after looking high and low, we’ve consciously chosen to work with Tetra Tea Tree mattresses. Tetra is Australian made and the most sustainable baby bedding in the country. Tetra is Australia’s most established natural bedding brand, making tea tree flake filled baby mattresses that are the healthy, safe and sustainable choice for parents that want to reduce their little one’s exposure to synthetics and chemicals. Tea Tree flakes are antibacterial, non allergenic and naturally insulating, meaning they stay cool in summer and warm in winter. The Tea Tree Bark is wild harvested and collected from tree by hand. This slow & conscious method honours the habitat and individual tree. When the outer layers of paperbark are removed, it promotes new growth that betters the overall health of the tree. How cool is that! 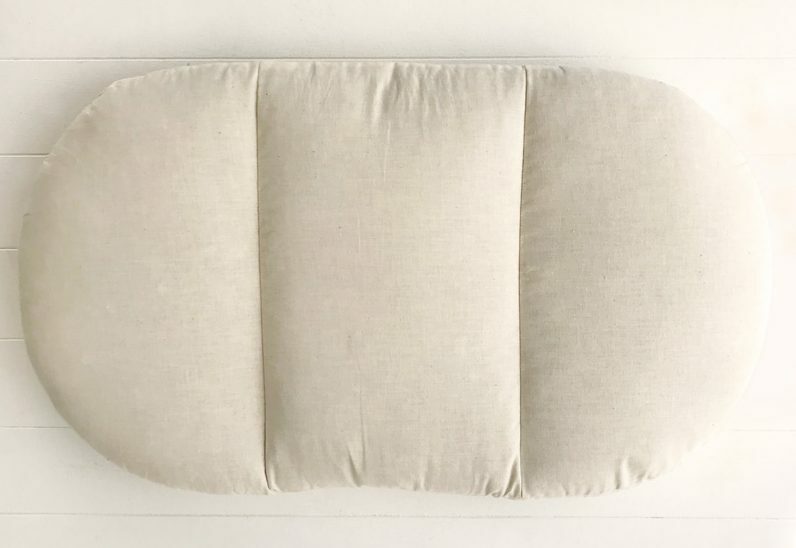 So not only is your baby feeling like it’s sleeping on nature, it’s doing so in a sustainable and environmentally friendly way, letting you and your babe rest easy! Each mattress in these Moses baskets are then finished with a GOTS (Global Organic Textiles Certified) organic cotton casing. 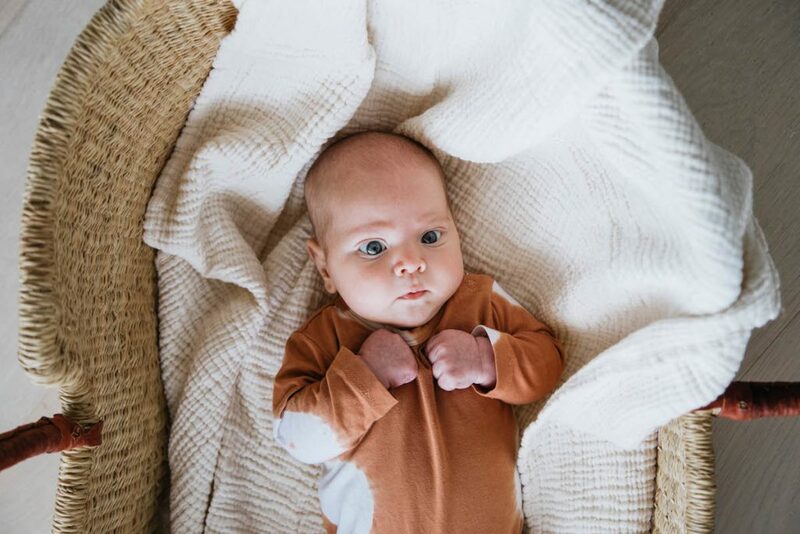 Because each moses basket is handmade and sizes vary, we’ve had to work that little bit harder to make sure each mattress fits perfectly snug in each basket. The rough size of the baskets are 40cm x 80cm, with the mattress fitting nice and snug in the basket to promote safe sleeping as per the SIDS guidelines. You can see why we’re so excited about these moses baskets & mattresses, and now the only question left is…which colour is yours?